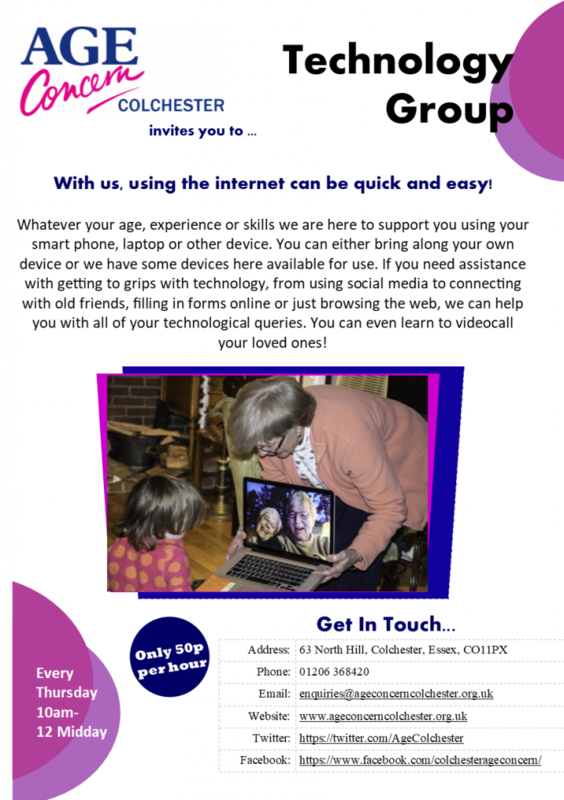 We welcome you to be a part of the Age Concern Colchester family, filled with laughter, new friendships and copious amounts of tea, coffee and cake! 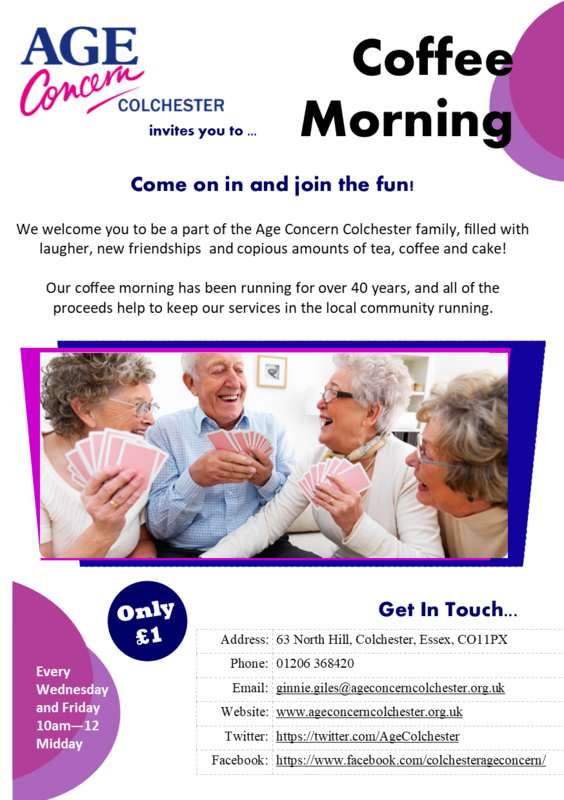 Our coffee morning has been running for over 40 years, and all of the proceeds help to keep our services in the local community running. More recently the Friday Coffee Morning has been joined by the Tuesday and Wednesday Coffee Mornings too. We also host a community cafe which is open 5 days a week.